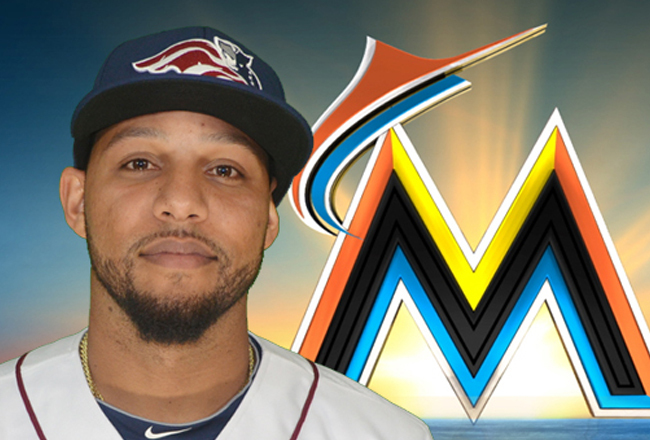 Bridgewater, NJ- The Somerset Patriots have announced that shortstop Robert Andino has been signed by the Miami Marlins and will report to Triple-A. Andino had 115 hits, 30 doubles, four home runs, and 56 RBI in 123 games for Somerset in 2015. Andino has nine years of Major League experience, having spent parts of four seasons with both the then-Florida Marlins and Baltimore Orioles, and most recently in 2013 with the Seattle Mariners. The Miami, Florida native’s two most notable seasons in the Majors came in 2011 and 2012 with the Orioles, where he appeared in 139 and 127 games, respectively. Over his nine years in the big leagues, Andino has appeared in 468 games with 18 home runs, 96 RBI and 24 stolen bases. In 2014, the former second-round pick of the Marlins played in 109 games in the Pittsburgh Pirates organization with Triple-A Indianapolis. There, he hit seven homers with 42 RBI and 15 doubles. Andino has 69 home runs, 460 RBI, 114 stolen bases and 1,131 hits in his 12 seasons of minor league baseball. He is the eighth player that spent time with the Patriots during the 2015 season to be signed by a major league organization, joining Edwin Quirarte (San Francisco Giants), Mickey Storey (Los Angeles Dodgers), Chris Marrero (Chicago White Sox), Sean Bierman (Baltimore Orioles), Lucas Irvine (Arizona Diamondbacks), Connor Little (Minnesota Twins), and Buddy Boshers (Minnesota Twins).